What is meant by uncredited surprise casting is when a well-known actor takes a major role in a movie without any advertisement of their involvement. This doesn’t mean cameos. Cameos are fun but it is hardly hard to keep a thirty second appearance quiet. To qualify for this you have to be a major role in the movie and completely unknown and unadvertised, having featured in no marketing and in some cases not even in the final credits. The reason for this can be many but ultimately comes down to the effectiveness of the surprise. Some characters work better because you don’t know how important they will be until they appear on-screen and then their impact is felt all the better because of who is playing them. Below now contains spoilers – beware! There are two great examples of this. The most famous is arguably Kevin Spacey in Seven. There is no mention of the actor or any footage of the character in any of the marketing for the movie. This means when killer John Doe finally reveals himself to Brad Pitt and Morgan Freeman, it is shocking that it is an acting heavyweight. At the time this impact was lessened because he wasn’t such a star but imagine that scene today, watching Spacey walking forward, hands aloft, finally showing the evil behind the gruesome killings. This would have been less of a moment if the audience knew to expect Spacey and the movie would have become a waiting game instead. Not knowing that he is going to appear makes the killer so much more elusive and ultimately frightening. That idea of surprise uncredited casting was pushed even further for Interstellar. 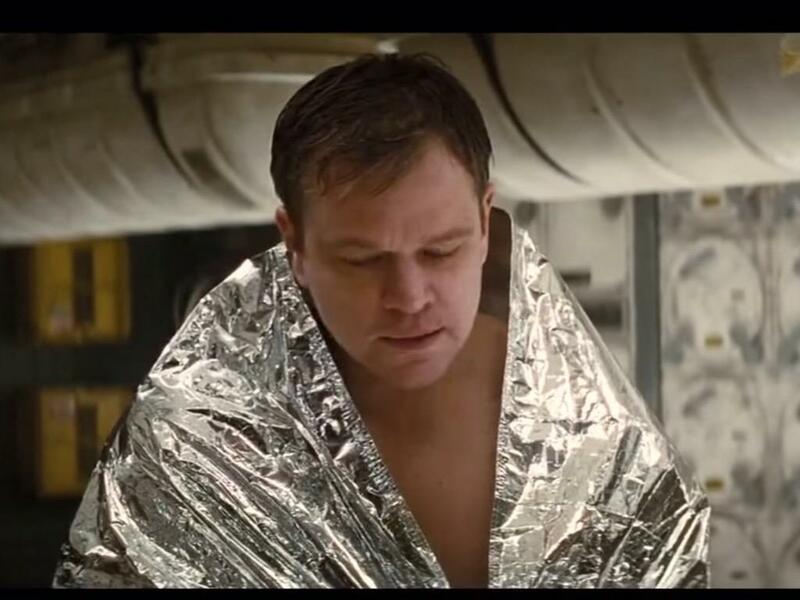 Nobody knew to expect Matt Damon once Matthew McConaughey opened that life-support pod but once he sat up covered in “goo,” everyone turned to their partner or friend and asked, “is that?” Again, this is great casting and makes sense. It was a huge role and big moment for the movie and what Christopher Nolan didn’t want was people waiting for Matt Damon or wondering what his role could be. By leaving it a surprise, you were blindsided like the characters in the movie, especially with his next actions. Damon isn’t a nice guy in the movie and his uncredited casting helps with this. His turning on McConaughey’s Coop becomes as much of a shock as the initial reveal and the effect of this betrayal feels so much more. That is the other use for uncredited roles too, playing against type. You don’t get much more against type than Tom Cruise in Tropic Thunder. Although he is covered in prosthetic and bizarre make-up, he is undisputedly Tom Cruise. His actions as the obnoxious Les Grossman are fantastic and very un-Cruise. His foul-mouth and ranting down the phone to an unsuspecting militia group also practically steals the movie, which isn’t a small feat considering it stars Ben Stiller, Jack Black and Robert Downey Jr. This uncredited role is funnier because you don’t expect it to be Tom Cruise. Everything he then does from that point is much more effective and completely shatters the image that the actor had built for himself up until that point. Of course there is one step beyond the uncredited role which is to disguise yourself completely. This can be for a single cameo, like Cate Blanchett in Hot Fuzz or the many superstars who played Stormtroopers in the latest Star Wars movie but sometimes an actor takes it slightly further. The most famous of these roles is Edward Norton in historical epic Kingdom of Heaven. The a-list actor played his role completely from behind a mask, with no recognisable way of knowing it was Norton at all. In fact, it was only with later rumour and reveal that anyone knew, with the role being kept a secret through the credits as well. This is harder to justify but no less effective. 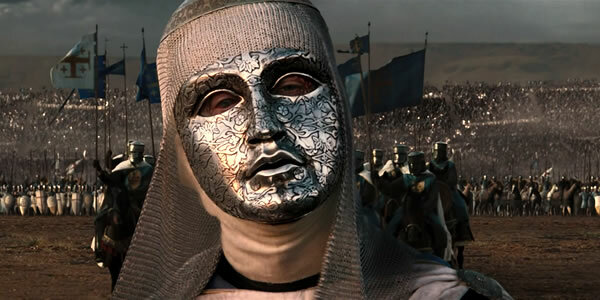 In Kingdom of Heaven he plays a genuine historical figure named King Baldwin, who it can be assumed wore a complete mask to hide his horrible disfigurement. To stay faithful Norton would be required to wear the mask and not be seen. It doesn’t mean he had to be uncredited completely, something Norton apparently insisted upon. Overall, apart from the most recent example, Interstellar, the chance of uncredited roles in movies are becoming slim. The internet and constant leaks from studios means that any A-lister in a movie is well-known before it hits the cinema. These four examples demonstrate why a little secret in the movie-making can be effective and actually elevate the character that is being played. I don’t think I realized that Matt Damon was uncredited in Interstellar, but it makes sense for the points that you mention. For the most part I agree with you here, but I also think that the surprise casting can take you out of the movie. To use Interstellar as an example, I was wildly unprepared for Matt Damon to show up in the movie, and as a huge fan of his, it completely took me out of the moment. I turned to my friend (who shares the same love of Damon) to display our excitement, which was a fun moment, but the surprise of it being Matt Damon distanced me from the fact that he was actually supposed to be Dr. Mann. That reveal took me away from being in the world of Interstellar, and put me into the real world, where I was seeing Matt Damon, instead of the character he was playing. In general I think that the surprise casting is awesome, but with such a huge star like Matt Damon, I think it can be slightly detrimental to staying in the film. That is a point I hadn’t thought of. I guess you’re right. The shock of seeing Damon would mess with the viewing rather than enhance it for some. Previous Previous post: Are audiences bored of city-destroying carnage?